of history, family fun and excitement! 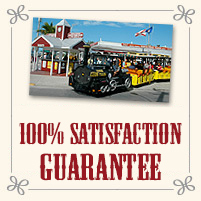 See the Best on the train tour that's been entertaining visitors to the Island City of Key West, Florida since 1958. The Conch Train is one of Florida's most popular attractions, and for good reason. Our expert 'engineers' and friendly staff have delighted over 15 million guests with legends such as Ernest Hemingway and lores of this charming tropical paradise. Your tour of Key West will give you a conch's eye view of all the wonderful Key West attractions. No Key West vacation is complete without The World Famous Conch Tour Train. > Read more about train tours. This Key West tour begins at the Front Street Depot and ends right behind it in Mallory Square. Once you have your ticket, climb on board and take your seat, as you are about to embark on a terrific 75-minute journey through time. 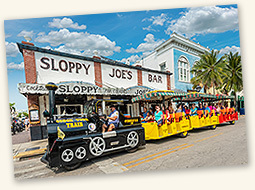 During the tour, the train will make one loop through Old Town Key West. There are three stops- one is at Station Depot, allowing for a 10 minute rest break where you will find refreshments and shopping. Bring your ice cream and homemade fudge back on board to continue your tour. The second stop is at Truval Village, located at the corner of Duval Street and Truman Avenue. From Truval Village you are just minutes away from the Ernest Hemingway Home and Museum, the Key West Lighthouse, the Southernmost Point, the Key West Butterfly and Nature Conservatory and the many fine art galleries, shops and restaurants of upper Duval Street. The third stop is at Flagler Station. The second stop is also where those who wish to can disembark to see the sights of the Historic Key West Seaport and choose to catch a later train. The best place to board the train is at Front Street; you may also board at Truval Village or Flagler Station if there are still seats available. If you are closest to the Roosevelt Depot, you can take advantage of our complimentary transportation down to the Station Depot. It takes approximately an hour to get to Mallory Square where you will then board a train. 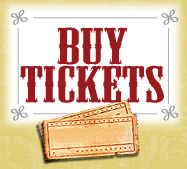 You may also purchase tickets online. Go to Rates and Reservations. Like Roots of our Native Mangroves"
Key West tour departs at least every 30 minutes. When demand increases, we increase frequency. Closed the last Saturday in October (Fantasy Fest). All schedules are subject to change. Please call 1-888-916-8687 (TOUR) for the most current information. 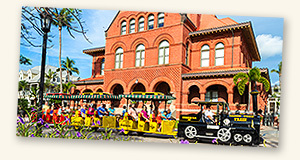 The Conch Tour Train is proud to be the legacy of Henry Flagler’s engineering miracle. FREE admission with purchase of Conch Tour Train Ticket. More > Flagler Station The Harry S. Truman Little White House has served as a presidential retreat & functioning White House by 6 US presidents. At the Key West Aquarium, you'll see some of the world's most exotic sea creatures and learn about the marine life that surrounds the Florida Keys. More > Key West Aquarium Where the fun begins and the sun sets! Mallory Square is filled with attractions, shopping, restaurants and the famous Key West sunset celebration. Step back to 1851 and discover the treacherous world of shipwrecking and how it made Key West the richest city in the United States. More > Key West Shipwreck Treasure Museum Cruise aboard The Yankee Freedom III, the fastest, largest and most state-of-the-art vessel ferrying passengers to Fort Jefferson Dry Tortugas National Park. We provide cruise ship guests the best tours to maximize their time in Key West. To learn more, go to Key West Cruise Guest Tours.